There’s bad weather and then there’s baaaaaaaaaaaaad weather. Well, the latter made its way into NFL stadiums on Sunday. 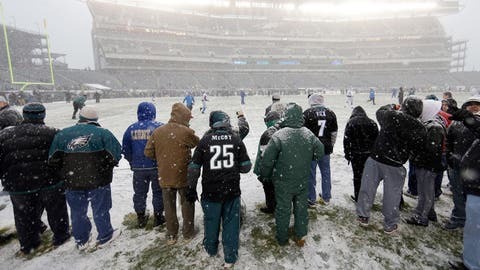 Here are some of the best images from around the league in snowy conditions. Green Bay — Can Matt Flynn knife the ball between two defenders? This is sure to make for some entertaining television, but let’s hope it doesn’t add to the long list of injuries.